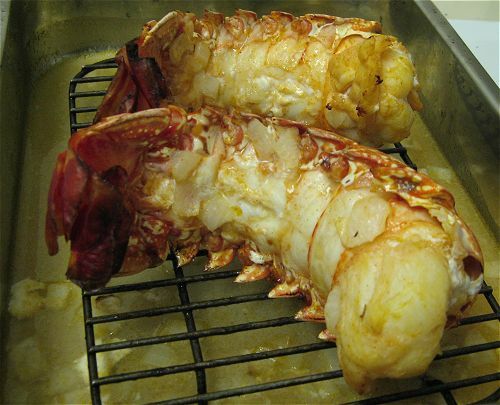 Thaw the lobster tails partially and use kitchen scissors to cut the shells open lengthwise down the back. Brush the exposed meat with fat-free chicken stock and season with lemon pepper. Place on a broiler pan with the opening facing upwards. Broil the tails about 6 inches from the heat source until they are opaque and slightly browned at the edges, about 10 minutes. Blend ingredients in a salad bowl. Add salt to taste. Serve chilled and enjoy! This entry was posted in hcg recipes, weightloss and tagged Diet food, hcg recipes, Lobster, weightloss, wellness on April 6, 2011 by Derma Darling.